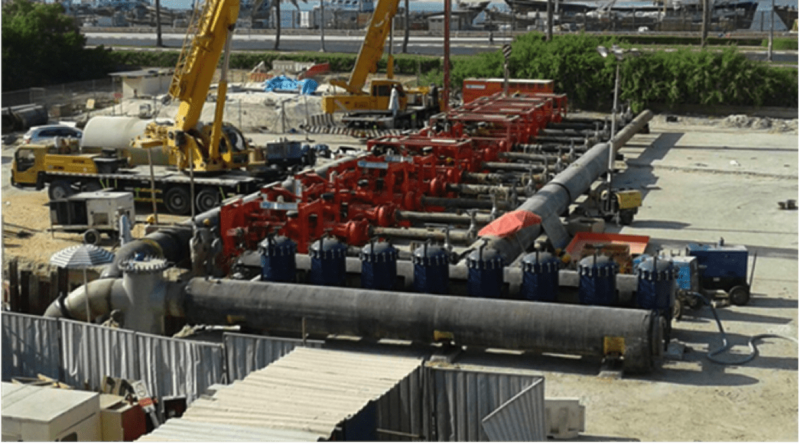 Pipeline flushing is the process of cleaning out chilled water pipeline systems using flushing pumps, filters and if required chemicals. The UAE is home to some of the largest District Cooling (DC) systems in the World. These closed cooling systems pump chilled water underground through insulated pipes from a central cooling station to commercial, industrial and residential buildings. Heat exchangers are used to transfer the cooling energy from the pipeline to the air conditioning systems located in each building. Over time contaminants including scale, algae, rust, sludge and sand can build up inside the chilled water system pipework, reducing the heat transfer efficiency. Flushing and cleaning of chilled water pipeline systems is a very critical element of any Heating Ventilation and Air-Conditioning Project (HVAC). 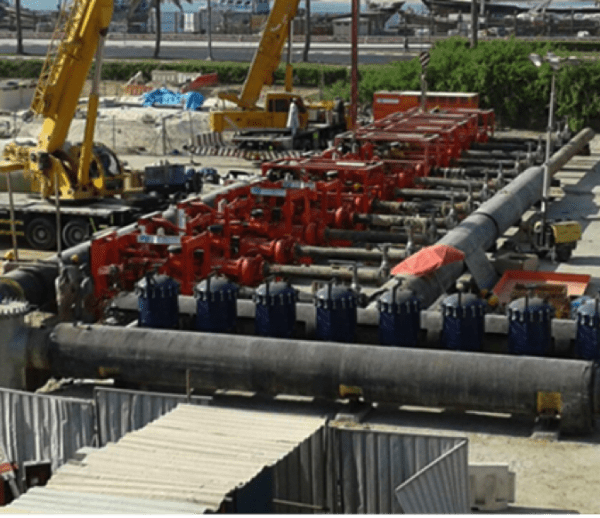 This procedure is undertaken to flush out any debris or foreign impurities from the pipeline system both after commissioning of a newly installed chilled water line, and during maintenance operations. Often utility companies undertake flushing of the existing network every couple of years. This is a requisite for their regular maintenance program for the network allowing them to provide cost effective district cooling. 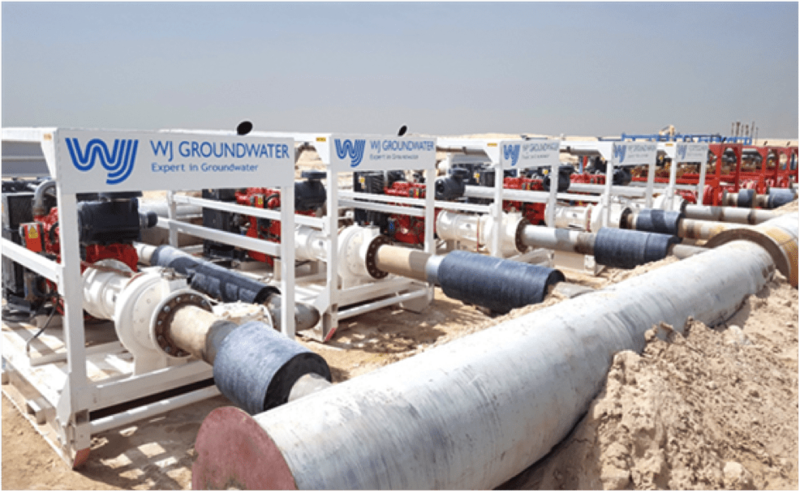 Why use WJ for your Pipeline Flushing projects? Rental of flushing pumps, equipment and accessories from WJ. Rental of filter vessels containing single and multiple bag filters to intercept and remove dirt during the cleaning process. Effective pre and post commissioning flushing, cleaning, chemical treatment, and disinfection of pipelines and other industrial cleaning requirements. in-depth engineering to ensure the flushing velocity and flows are maintained throughout the sequence of operations. Computer modelling to simulate the network and design of flushing solution. Information for consultants to verify node data prior to start of flushing works. Water sampling to validate the cleaning process. With our large fleet of high pressure flushing pumps, we can meet any system volume and ensure timely delivery, tailored to the individual needs of our clients. We can supply and install all flushing equipment like pumps, filters, headers and manifolds, tanks and discharge pipe, valves and accessories. 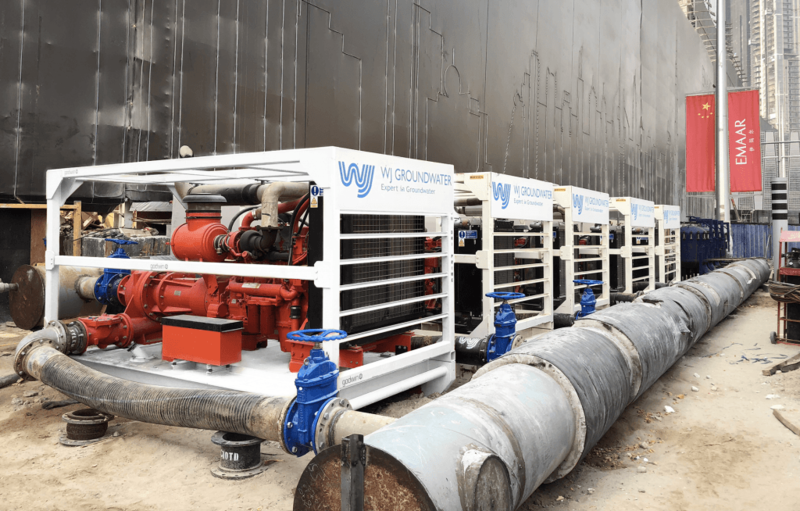 WJ offer a rental service as well as a full installation and operation service for flushing pumps and equipment. 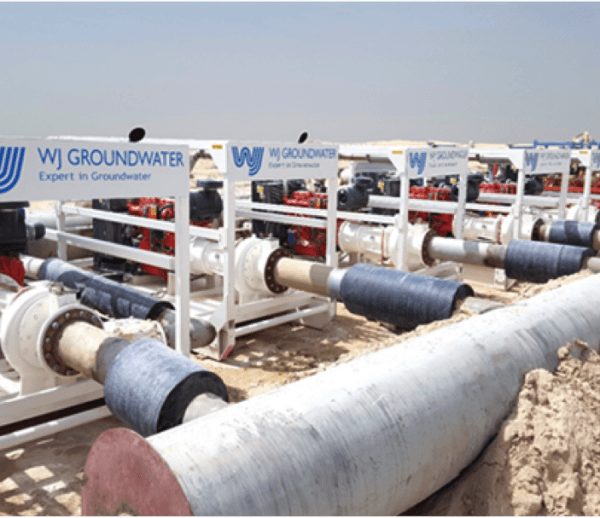 WJ have delivered several major chilled and condensed water systems in the region.